Water Going Down Your Pipes And Backing Up In Other Places: When your sewer is clog free, any water going down should flow into the sewer system normally. If you flush your toilet and water starts coming up the shower drain, or you do a load of laundry and the toilet bowl overflows, that means the waste is blocked from the pipeline and is trying to find another way out. Multiple Clogged Drains: Everybody gets a clogged drain from time to time, but if your shower, toilet, and sink are all taking a while to drain and making gurgling sounds, you need to contact a plumber right away. Waste And Dirty Water Are Coming Up Your Sewer Cleanout: A sewer cleanout is the black or white pipe inside of your home that leads directly to the sewage line and can be used to check for clogs. If you screw off the cap and sewage immediately starts flowing out, you definitely have a clog. 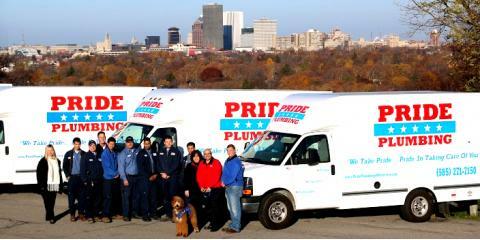 For clogged sewers and all of your plumbing needs, call Pride Plumbing of Rochester at (585) 272-7272 or go online to their website for more information.